Bullz-Eye continues its look back at every James Bond film, 007 One by One, as part of our James Bond Fan Hub that we’ve created to celebrate the 50th anniversary of the first Bond film. Diamond smuggling turns out to be, naturally, only the tip of the iceberg as a graying Bond (Sean Connery) unravels a chain of deception that leads him to a Las Vegas-based ultra-reclusive mega-tycoon (Jimmy Dean), and then onto 007’s not-actually-dead arch nemesis, Ernst Stavro Blofeld (Charles Gray). It turns out that killing Bond’s wife simply isn’t enough for the social climbing super-villain; he’s once again making 007’s life hellish while also having the bad manners to peddle thermonuclear supremacy on the world market. Bond, meanwhile, is nearly wearing out his license to kill. Though it’s an underrated film and beloved of many serious Bond fans, 1969’s “On Her Majesty’s Secret Service” with George Lazenby was deemed insufficient as a blockbuster. It did well enough abroad, but it’s all-important American grosses was about half that of earlier Bond entries. By 1970, Lazenby was already one for the “where are they now?” columns. A replacement was needed, and so was a big hit. Stolid American heartthrob John Gavin (“Psycho“) had been contracted as a fall-back Bond, but moguls Albert R. “Cubby” Broccoli and Harry Saltzman set their sights on the one actor alive least interested in stepping into the very big shoes of Sean Connery – Sean Connery. While the Scottish unknown-turned-superstar has always insisted he was very grateful for his Bond stardom, to all appearances, Connery was over James Bond — now and forever. On the other hand, we all have our price. Connery’s was £1.2 million – quite a lot of money in 1970 and enough cash for the actor to start his own charity, the Scottish International Education Trust. To sweeten the deal, United Artists also allowed Connery the chance to take the creative lead on two of his own movies. 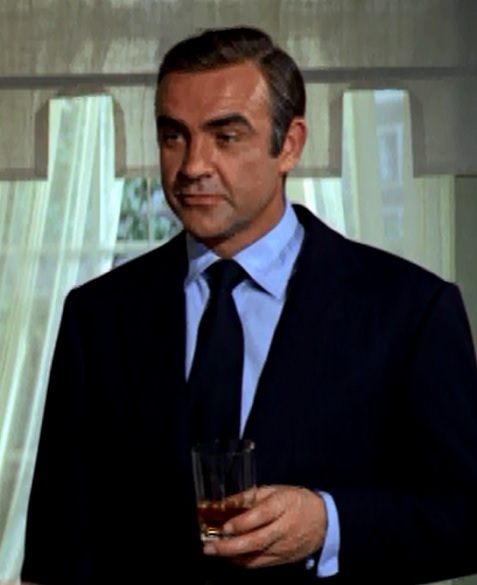 The understanding was, however, very clear that Connery would never again play Bond…for the Broccoli and Saltzman’s EON team, at least, that turned out to be true.